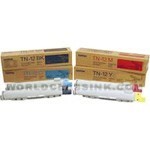 Free Shipping On Brother TN-12 Value Pack Toner Cartridge TN12 Value Pack. Black toner will yield approximately 9,000 pages. Genuine Brother brand and Media Sciences compatible brand available. World Class Ink offers a full satisfaction guarantee on all Value Pack of All (4) Toner Cartridges for Brother HL 4200CN Series (Brother TN-12 Set). We strive to keep all products, including this Value Pack of All (4) Toner Cartridges for Brother HL 4200CN Series (Brother TN-12 Set), in stock at all times. 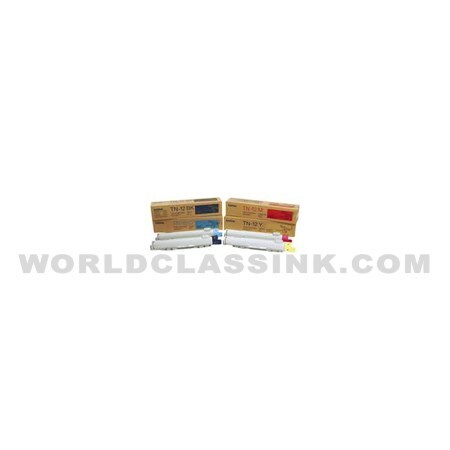 World Class Ink will ship your Brother TN-12 Value Pack immediately so that you receive your order quickly and accurately. Once you receive your Value Pack of All (4) Toner Cartridges for Brother HL 4200CN Series (Brother TN-12 Set), should you require any assistance at all, please do not hesitate to contact World Class Ink Customer Support. We will make every effort to ensure you are completely satisfied with your purchase of this Brother TN-12 Value Pack. This web page is intended to display the details of our offering for Brother TN-12 Value Pack Toner Cartridge, which can be referenced by the following part # variations: TN-12 Value Pack, TN12 Value Pack.